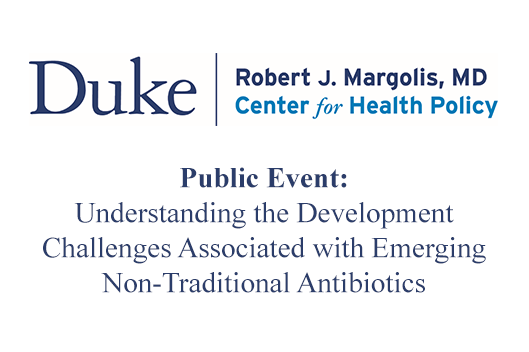 Convened by the Duke-Robert J. Margolis, MD, Center for Health Policy at Duke University and supported by a cooperative agreement with FDA, this public event will focus on the range of non-traditional pharmaceutical approaches being developed to combat bacterial infections. Speakers will address the importance of development in this area, the full spectrum of technologies currently under development, and the outstanding scientific challenges in assessing efficacy of these products in pre-clinical and clinical settings. Discussion will help to prioritize challenge areas in which additional considerations and research will need to be developed moving forward.